Little Nursling is soon going to be the must-have item for every new mum! A cosy breastfeeding cover up, a car seat cover and a shopping trolley seat cover all in one – it’s perfect in your nappy bag arsenal. Much more than a nursing cover to help keep bub focused and yourself comfortable, the Little Nursling Multi Use Cover, proves its worth at every turn. It stretches over car seat capsules when out and about, shielding baby from harsh sunlight, wind and unwanted attention from strangers. You can also whip it out at the supermarket to stretch over the baby seat in the trolley – genius. 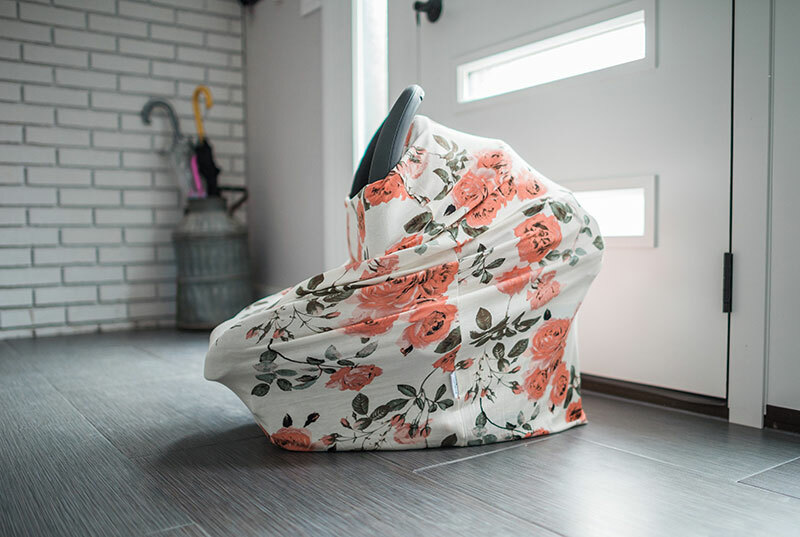 Made from a super stretchy, breathable rayon blend fabric, Little Nursling is available in several fabric choices, including my favourite rose garden, and is completely washable. The Little Nursling Multi Use Cover is available from Littlemissdessa, priced US$34. Shipping to Australia is available.